I am not sure how it is April already, this year is flying by. 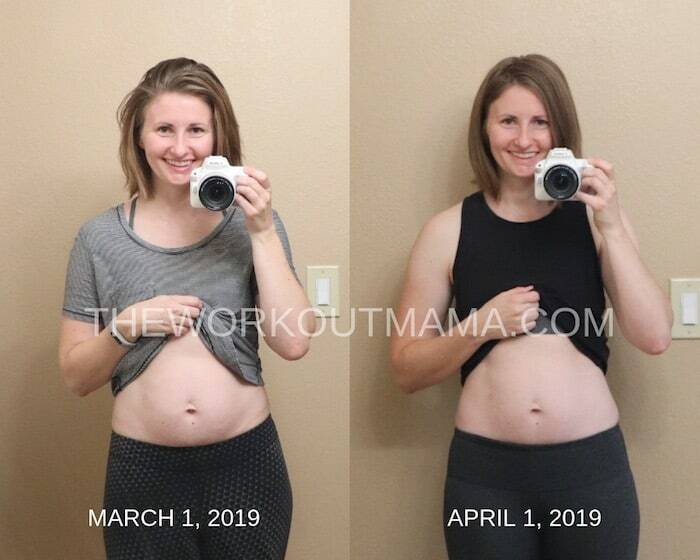 I wanted to do a quick update on how I am plugging along with my fitness and wellness journey in 2019. March came and went and I am happy to report that I am down another 4 pounds! I am beyond thrilled. In total I have lost 10 pounds since February! If you are just joining the conversation I gained 15 pounds in 2018 and was determined to get back on track with my eating and finding more consistency with my workouts. You can read about that and see pictures HERE. I am still not eating eggs or drinking caffeinated drinks, but have been a bit more lax on the sugar ;). I am not wanting to be restrictive with my eating and think it is totally appropriate and necessary to have a few treats here and there. Mid month I also started tracking my macro’s because I was curious how much food I was actually eating. I discovered I was not eating enough carbohydrates during the day and was overeating fat and pretty frequently not getting enough calories. I love avocado’s and nuts and was easily eating an avocado daily if not more because I was adding them to smoothies. Right now I am using a 50% carbohydrate, 30% fat, and 20% protein protocol and eating just shy of 1700 calories a day. 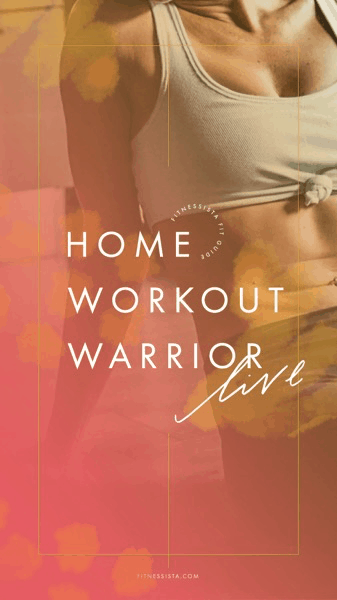 In March, I finished up 1 month of The Fitnesssita’s Home Workout Warrior Fit Guide and loved it so much I purchased the entire program. I am planning to continue this plan later in the year. If you want to read more thoughts about this program click HERE. After I had completed the 4 weeks of this plan I began to incorporate more HIIT (High Intensity Interval Training) and dedicated muscle group strength training days into my week. For the HIIT style workouts I am using a battle rope because it can easily spike my heart rate and it does not require my legs to be pounding on the pavement like running or jumping would. I did some type of exercise 6 days a week for about 30 minutes each workout in March. For overall wellbeing I am still consistently reading the bible daily. I am clinging to Jesus and the hope that he brings. Reading God’s word renews my focus on pursuing holiness so I don’t get caught up in the pursuit of chasing happiness. While it is great to be transforming on the outside I am more concerned about my inward transformation and that others can see Jesus in me. Thanks for reading and stopping by the blog today! It has been forever since I actually shared a workout. I hope to start sharing more workouts on here and to update the workout page with previous workouts I have posted. I have been exercising about 4-6 days a week consistently since February and it feels amazing. We don’t have a gym membership so I am getting up in the morning before everyone in the house is awake and exercising at home. Over the years we have accumulated a nice variety of workout equipment for at home use. For this workout you will need a stability ball and a set of dumbbells. I used 15 pounds for the squat to shoulder press and the walking lunges but you can go lighter or heavier if needed. 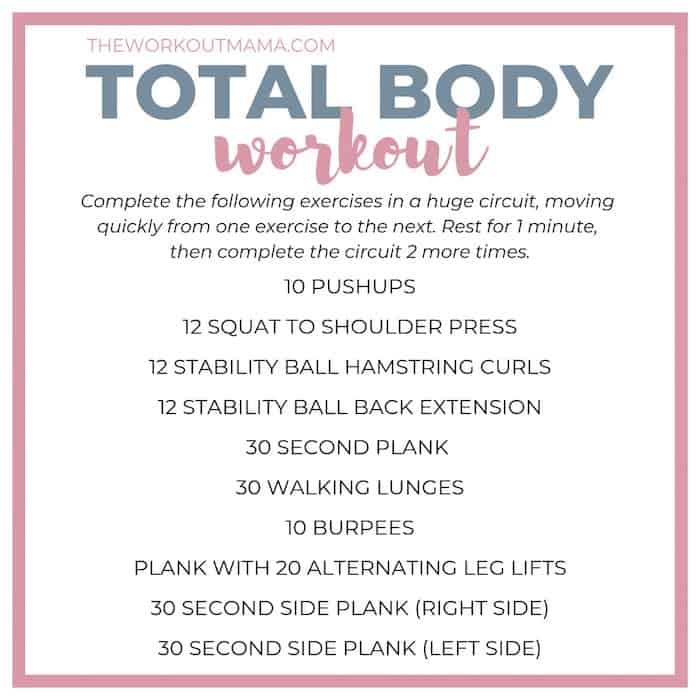 This is a quick circuit style workout that will have you sweating and leave you feeling accomplished when you have finished. Move from one exercise to the next. Once you have finished rest for 1 minute and repeat for 2 more rounds. It should take you around 30 minutes to finish. These are my favorite type of workouts because they are over and done quickly and contain a variety of exercises. If you try it I would love to hear how it went! 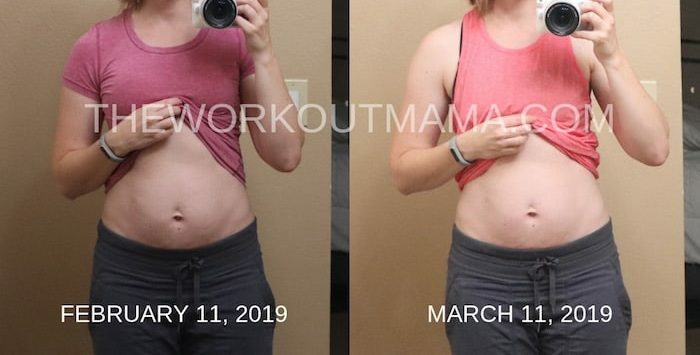 Back in early February I was reading Gina’s blog and saw she was offering 1 month of her Home Workout Warrior program for $9. The program normally costs $97 for 12 weeks so it was an easy decision to purchase. It was a great way for me to try something I had been interested in without the larger financial investment. I am so glad I did! It can be nerve-wracking sometimes to purchase something without having a solid idea what you are buying. The Fit Guide comes with workouts, a meal plan, as well as suggested options for cardio. So if you have been on the fence about this program here is my review. I really loved the way the workouts were organized. I never got bored and I felt challenged at just the right amount. Each week there were specific Upper Body, Core, Lower Body, Total Body, HIIT (High Intensity Interval Training), and Cardio workouts. I was able to complete most of the workouts in 30 minutes. This was great because I woke up in the morning before the kids and got it done plus still had time to read the bible. Each week there were 5 days of workouts and 2 rest days. We no longer have cardio equipment at our home and don’t have a gym membership so I wasn’t able to take advantage of the Hill Gym Workout she provided. I am saving it for a later date whenever we do decide to get a membership again because it looks awesome. Gina did provide a 20 minute at home HIIT workout that I did use and I also used several Cathe workouts for my Cardio days to supplement. The equipment needed was fairly minimal. I used 8 and 15 pound weights, stability ball, and chair. The Fit Guide included a 4 week meal plan. I wasn’t able to strictly use it because I am not eating eggs but did find it helpful to add some new variety back into what I had been eating. When the plan was first sent there were several items missing from the shopping list for week 1 but Gina quickly corrected it. She even sent a bonus digital workout with the updated fit guide. If you are newer to meal prepping and healthy eating this plan would be a good starting place. It is straightforward, simple, and there is no calorie counting! The plan even recommends a small piece of high quality dark chocolate after each meal and schedules in cauliflower crust pizza or sushi, and a free meal choice on the weekend. I enjoyed that there were uncomplicated recipes included. This made it super easy. I also discovered that I am a huge fan of Amazeballs. I feel so much better overall and I am so proud of myself for sticking with this program for the month. My clothes are also fitting better which is a huge plus! I am looking forward to sharing more of my health and wellness journey this year so stay tuned if that is something you are interested in reading about. 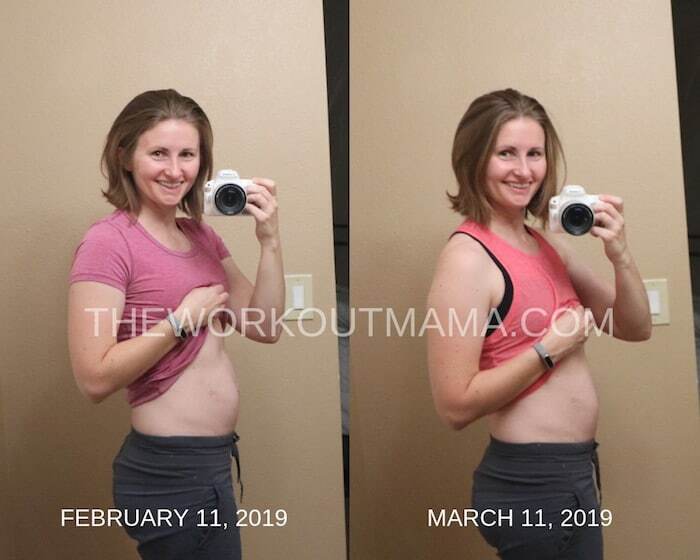 There are so many ways you could modify this plan and I felt Gina did a great job of allowing flexibility within the program for a variety of fitness levels. I loved this Fit Guide so much that I purchased the full 12 week program. In my opinion it is worth the money. You can tell there was a lot of time and thought put into this program. Having run my own online bootcamps in the past I know how much work goes into something like this. It was so nice to be able to get up in the morning with a plan that I didn’t have to create and just do the workouts. I thoroughly enjoyed being able to benefit from another trainers programming :). 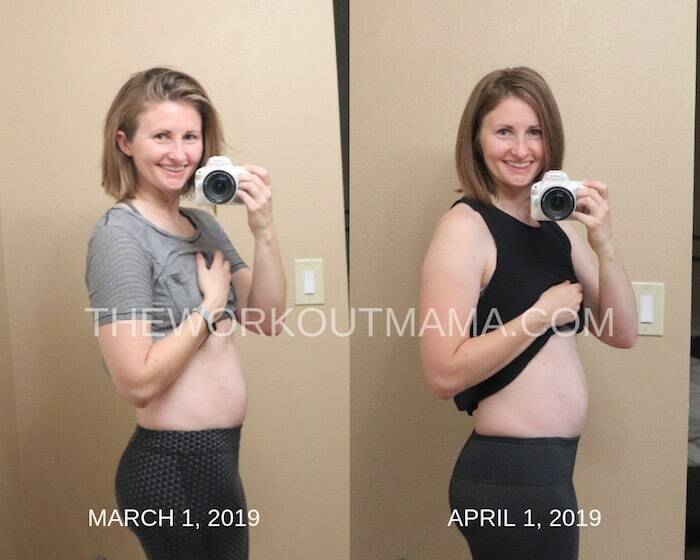 If you are interested in purchasing the full 12 week Home Workout Warrior Fit Guide or seeing the other 12 week Fit Guides Gina has created click HERE.